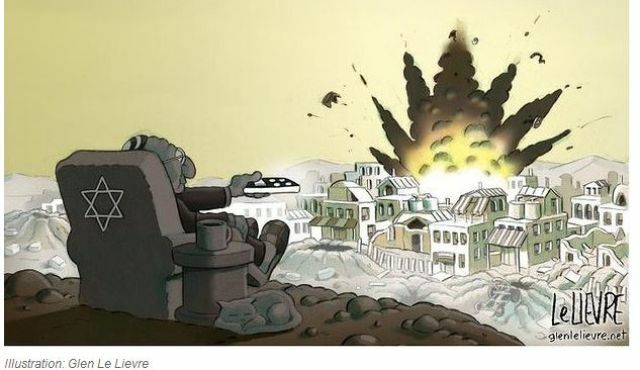 Class has once again reared its ugly head. Throughout U.S. history, class has always been there, if only just below the surface. But then in times of crisis, such as the aftermath of the crash of 2007-08 and during the Second Great Depression, class comes to the fore. And for a country that at least in its public pronouncements and mainstream economic theorizing mostly denies the existence of class, it is remarkable that a great deal of attention is now focused on the working-class, especially one segment of that class: the so-called white working-class. The decline of the white working-class was, of course, the overriding theme of Charles Murray’s Coming Apart, which would have sunk into much-deserved obscurity had it not been for conservative commentators (like David Brooks) and a well-financed, right-wing-engineered string of controversial college-campus visits (including my own university). J. D. Vance’s Hillbilly Elegy also should have been consigned to oblivion. But, of course, it wasn’t. To my mind, it became such a media and commercial success not only because it was celebrated by American conservatives (lavishing praise on it to give it credence it didn’t deserve), but also because of the growing class divide in the United States and the curiosity on the part of those on the other side (including many concerned, well-meaning liberals) about what is actually happening to the white working-class. 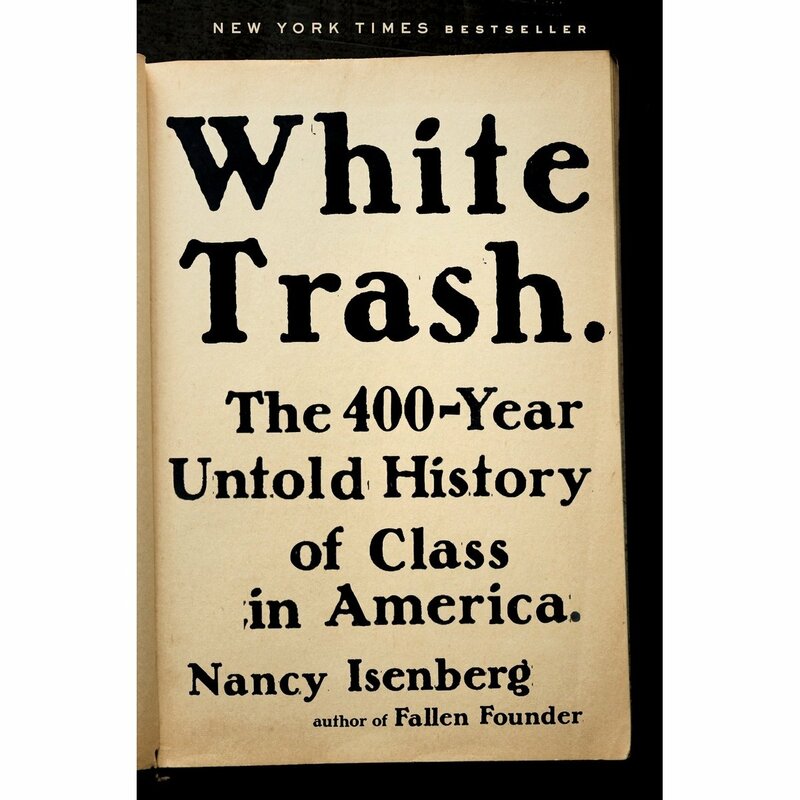 And then there’s Nancy Isenberg’s White Trash: The 400-Year Untold History of Class in America—a remarkable book that serves as a reminder of both how class is a central thread in the American narrative and the fact that class has been configured not only by finances but also in geographical and even bodily terms. Crackers and squatters, rednecks and hillbillies, sandhillers and mudsills, clay eaters and trailer trash: over the course of its history, America has developed a rich vocabulary to describe its uneasy and unresolved relationship to one part of the underclass—the dispossessed—its economic and social institutions have presumed and produced on an ongoing basis. marginalized Americans were stigmatized for their inability to be productive, to own property, or to produce healthy and upwardly mobile children—the sense of uplift on which the American Dream is predicated. Poor whites haunted the writings of such diverse founders as Benjamin Franklin, Thomas Paine, and Thomas Jefferson—because they threatened both to disrupt “enlightened” democracy and to undermine national economic prosperity. The political and economic menace they posed continued into nineteenth-century American society but then was intertwined, starting in the 1840s, with its opposite, as the landless vagrant and squatter became romanticized and morphed into “the colloquial common man of democratic lore.” From then on, American white trash were alternately threatened with expulsion and even sterilization (especially in the first two decades of the twentieth century when the eugenics movement flourished), to reduce the burden on the national political economy, and greeted with populist calls (from the rise of Lincoln’s Republican Party to the campaign of Donald Trump) to make American great again. If I have one major bone to pick with Isenberg’s otherwise absorbing and persuasive analysis, it’s that she overlooks the changing foundation of white trash—and thus of class distinctions generally—across American history. It is true, property, especially land, played a significant role in designating the gulf separating waste people and everyone else when the U.S. economy was mostly rural and white trash evoked landless laborers who were pushed to or beyond the margins of feudal, slave, and independent agricultural production. But that changed with the rise of capitalism, after which poor whites were either members of the working-class who found themselves in low-paying jobs or who failed in the effort to sell their ability to work to employers and thus were jettisoned into the ranks of the underclass, the lumpenproletariat. 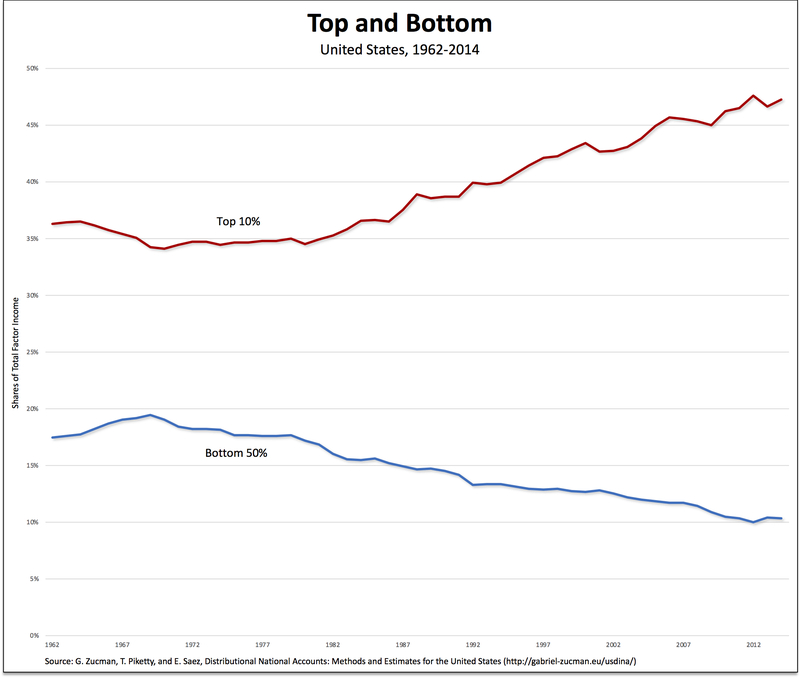 So, yes, as Isenberg argues, “pretending that America has grown rich as a largely classless society is bad history.” But so is presuming that the basis of class can be found in an uninterrupted pattern of unequal ownership and dispossession in the presumed land of opportunity. Today’s white trash are not merely yesterday’s landless vagrants on wheels. Those wheels are the only way they can get to their jobs at Wal-Mart and shop at the dollar stores that together represent the injuries, insults, and inequities meted out by an American economy that, over the course of the past four decades, has punished a growing part of the population for whom the American Dream is increasingly out of reach. *Down the road, I plan to write a review of After Piketty: The Agenda for Economics and Inequality, edited by Heather Boushey, Brad DeLong, and Marshall Steinbaum. Packaged food sales were flat in 2014 as people increasingly avoided the brands typically found in the center aisles of grocery stores in favor of the fresher food found on the perimeter. 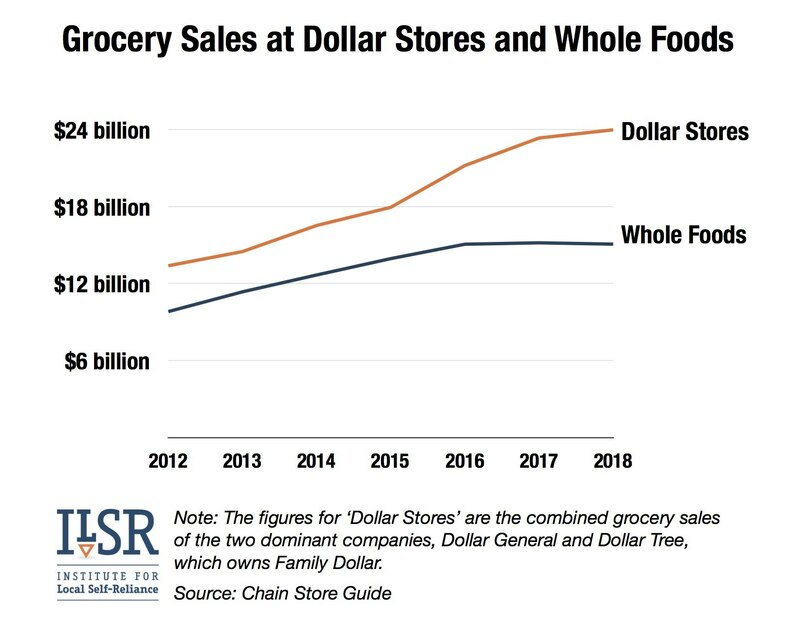 But in other types of stores, such as dollar, drug and club, sales are growing faster than grocery store sales, prompting companies to expand distribution. . .
Kraft operates an in-house kitchen, where it tests recipes that it hopes will appeal to budget conscious consumers and tries to figure out how families stock their pantries, said Robin Ross, director of Kraft Kitchens. 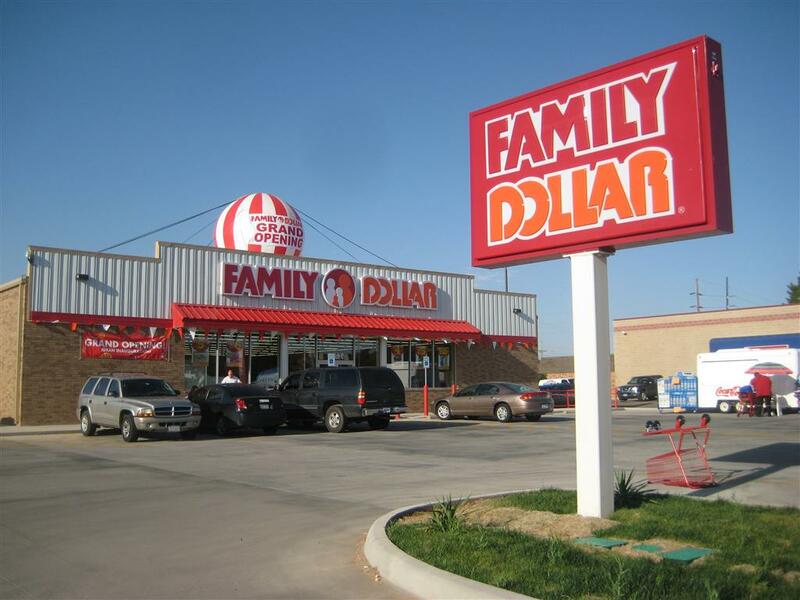 Of course, there’s a bidding war for Family Dollar Stores, one of the country’s biggest deep-discount retailers! 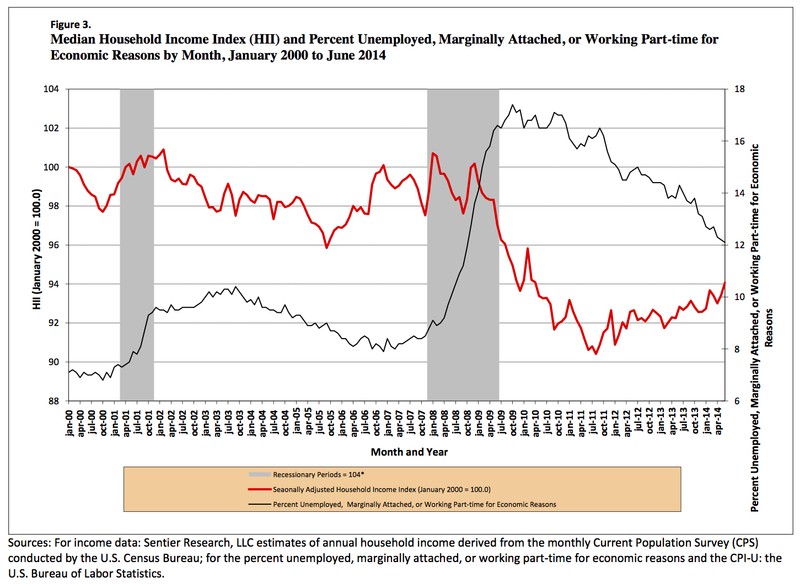 Dreiling’s view is confirmed by the latest report on household income trends from Sentier Research [pdf]. Their Household Income Index shows the value of real median annual household income in any given month as a percent of the base value at the beginning of the last decade (January 2000 = 100.0 percent). As readers can see in the chart above (red line), the index for June 2014 stood at 94.1 compared to 98.8 in December 2007, when the “great recession” began, and 97.0 in June 2009, when the “economic recovery” supposedly began. The index had increased unevely from August 2011 (the low point) to this summer. What does it mean? 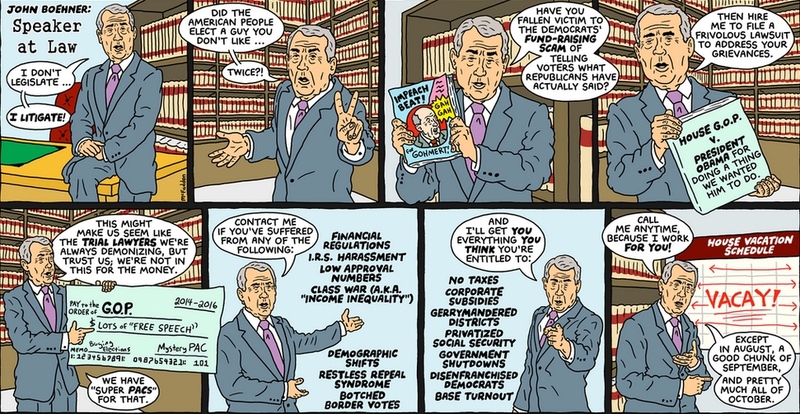 In short, it means that average American households have been beaten down—and therefore have been forced to pinch pennies by purchasing at discount retail stores like Family Dollar, Dollar Tree, and Dollar General—and that their incomes, while far below their peak, have in fact been rising over the last few years—which means they are able to spend more of their pennies at those same discount retailers. 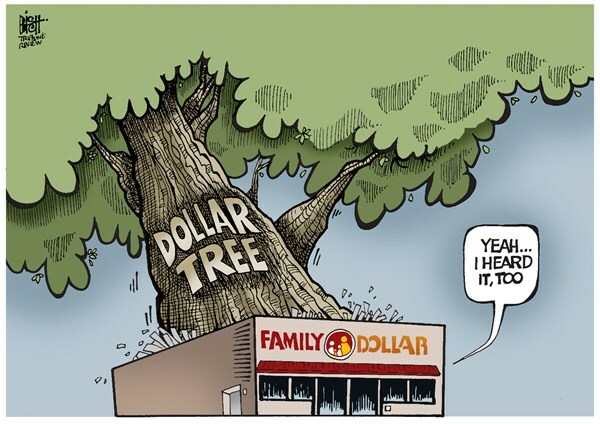 What does it mean that Dollar Tree is buying rival discount store Family Dollar in a cash-and-stock deal valued at about $8.5 billion? 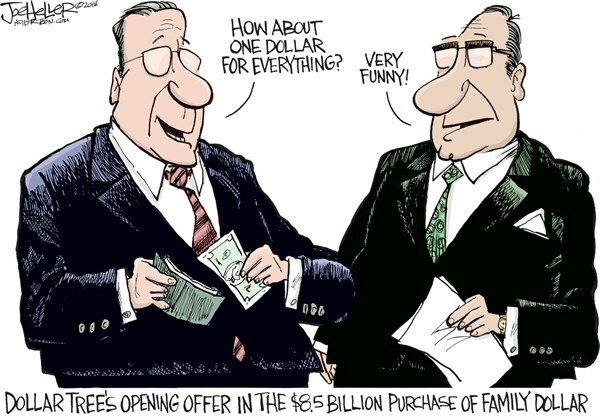 It means, at a first cut, that Family Dollar stockholders will receive $59.60 in cash and the equivalent of $14.90 in shares of Dollar Tree for each share they own—a transaction valued at $74.50 per share, which is an approximately 23 percent premium to Family Dollar’s Friday closing price of $60.66—and that Dollar Tree will now have more than 13,000 stores in the U.S. and Canada—nearly three times as many as Wal-Mart Stores Inc. (although Wal-Mart’s square footage is still greater). 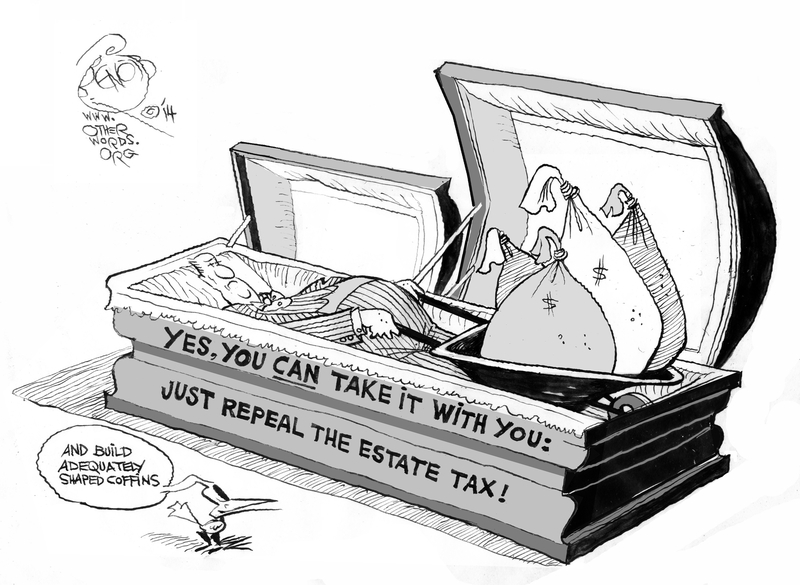 More generally, it means there’s a lot of profit to be made in selling discount commodities to the low-income and falling-income American families whose numbers have grown over the course of the past three decades, and especially in the midst of the Second Great Depression. US consumers experience a kind of “thirdworldization,” that marks them not as exceptional but rather increasingly on par with rest of world as they become yet another population of consumers marked by their lack of income. 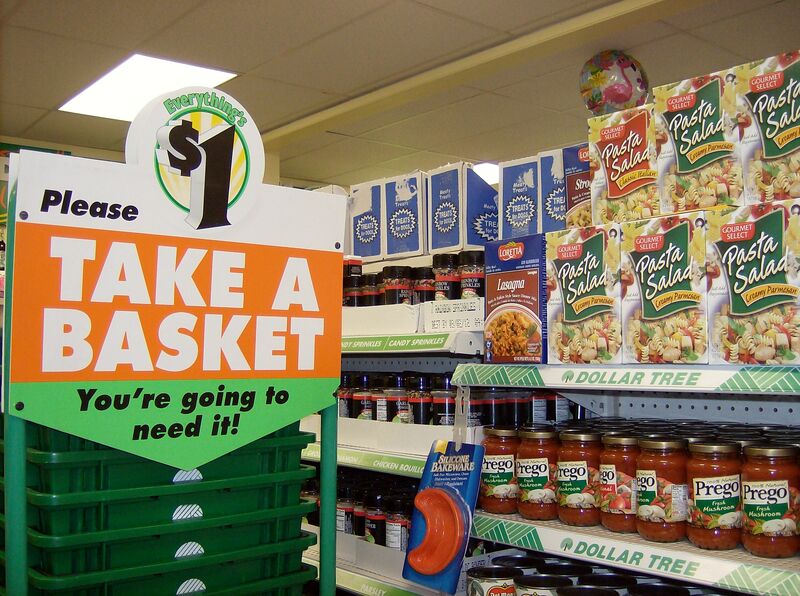 Hence, multinational corporations’ and discount retailers’ techniques aimed at incorporating what are known in marketing literature as the “bottom of the pyramid” (poorest populations in poorest countries) overlap with methods used at US dollar stores. 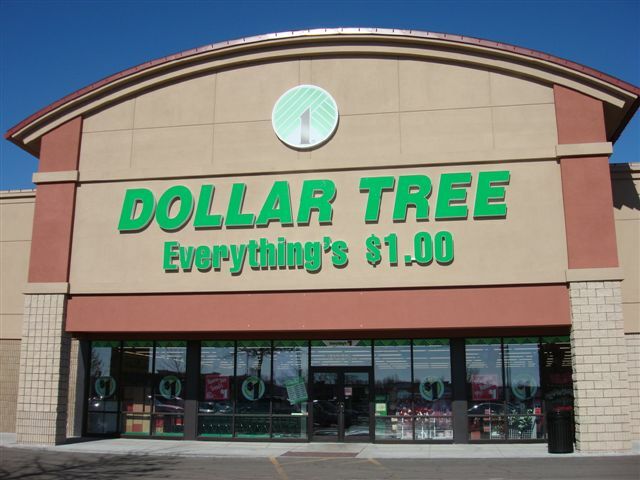 For example, brand- name goods at the dollar store are often sold in packages substantially smaller than the standard sizes found at Target or CVS. This technique also surfaces in places like India where companies like Unilever and Proctor & Gamble sell single-serving sachets of laundry detergent, fairness cream, and shampoo for around 2 rupees. These methods rely upon a particular model of frugality aimed at those with extremely limited incomes that actually costs the consumer more in the long-run. This contrasts with other recently popularized methods of shopping, like purchasing in bulk from warehouse retailers and couponing that actually save money. These latter shopping styles require more money upfront, time, storage space, and membership fees ensuring its association with normative American middle-class, feminine “home-making” and smart budgeting rather than poverty. 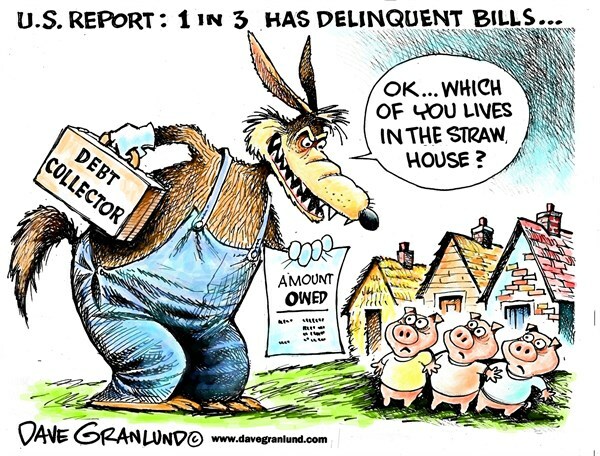 Thus, the sense of loss of an American consumer identity and American dream emerges through the sense of a compromised American exceptionalism as people in the US find themselves unemployed, underemployed, facing compromised conditions of labor and consumption. Chinese Tide detergent and Indian Colgate toothpaste make their way to US dollar stores because major US and European multinationals are now targeting growth markets among the middle classes and poor in the former peripheries of the global economy as the centers have slowly begun to crumble. 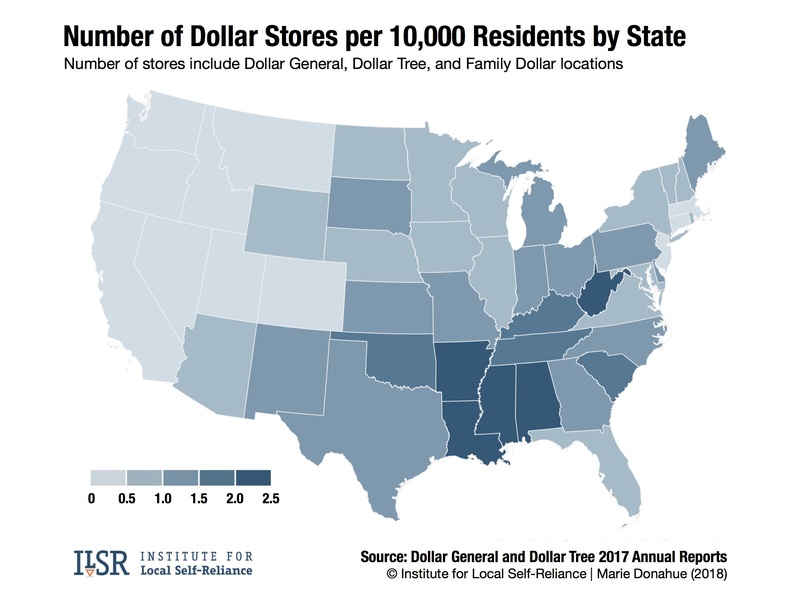 Clearly, poor and working-class families are being forced to have the freedom to pinch their pennies, which turns out to be a profitable opportunity for the likes of dollar stores that feed at the bottom of American capitalism.